All Smartphones and tablets have video recording feature and have good video quality and stability to a great extent. However, using smartphones and tablets to capture videos at a professional level is not possible as it lacks multiple features which a professional camera can offer. 4K cameras are shaping the world but what is a 4K camera and what new it offers is a question to many. In simple words, 4K means 4000 pixels of the width of the footage. It means that it is way better than our HD cameras as they only serve 1080HD pixels. 4K camera helps us to record videos in Ultra High Definition (UHD) as it’s bright, clear and incredibly sharp as compared to other HD cameras available in the market. If you are planning to buy a new camera to enhance your photography skills or to take things at a professional level you can consider below cameras that we shortlisted as the best 4k cameras in 2019. All above-mentioned camera has a 4K resolution but still, they are different from each other just like our smartphones and tablets. Every camera listed above has a unique quality which will make you consider these cameras while shopping your next beast. 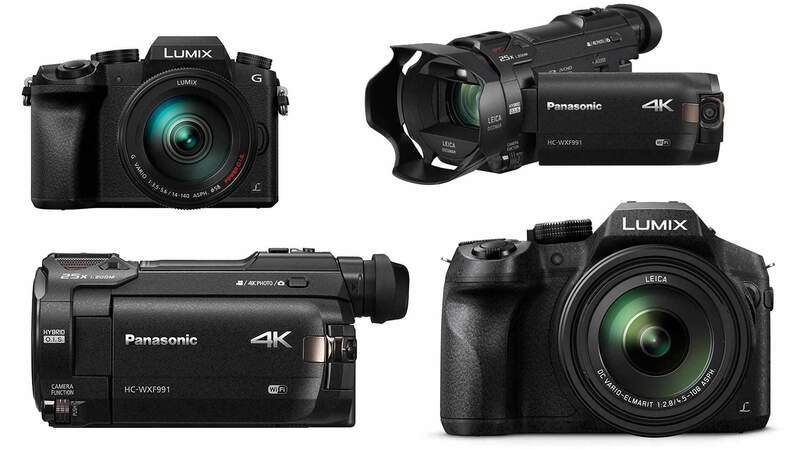 Let’s have an in-depth look into each of these recommended 4k cameras. The new Blackmagic Pocket Cinema Camera is the one that you need to add in your shopping cart as it has all the features which make it go-getter thing for camera lovers. The Blackmagic Pocket Cinema Camera has a 4/3 size sensor, 13 stops of dynamic range and dual native ISO(ISO settings determine how sensitive the camera’s sensor is to light while taking various types of photos) up to 25,600 which means you get fabulous HDR images and great low light performance from it. It has a 5-inch touchscreen which makes life easy. It provides access to multiple functions like images are recorded SD/UHS-II or CFast 2.0 cards. The Blackmagic Pocket Cinema Camera also offers built-in microphones, Mini XLR input, Full Sized HDMI, 3D LUT support, Bluetooth, USB-C Expansion Port and more. Panasonic Lumix GH5S has become every camera lover’s desire. It has a few phenomenal features which will make you add this camera to your shopping cart. It comes with an updated Venus engine, the sensor and processor also enables faster readout speeds. It stands out in low light performance and UHD Video recording is possible at up to 60p(p=Pixels). 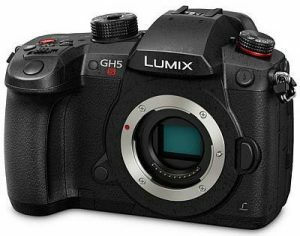 The Lumix GFH5S is no different from GH5 in terms of design. Placements of buttons are pretty similar to the last model. It has a 3.2-inch touchscreen which can be articulated fully. It comes with sockets for microphone and headphones along with HDMI output and USB Type-C port. The Lumix uses a 10.2-megapixel micro four-thirds sensor in a mirror body which allows us to shoot videos in larger pixels. Panasonic Lumix GH5 was one of the trending video shooters in 2017. 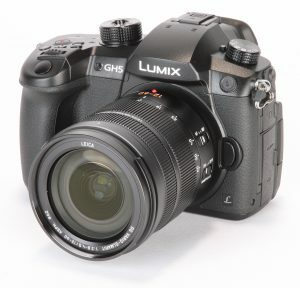 It is also called as the elder brother of Panasonic Lumix GH5S because Panasonic Lumix GH5 was released a year before. It has a 20MP four-thirds sensor which means that it is smaller than the full frame sensor of other mirrorless or DSLR cameras. GH5 has new customized AF settings. AF sensitivity and area switching sensitivity are customizable. It even has moving object prediction software. The GH5 comes with 3.2inch LCD which offers an accurate representation of what’s in the frame. Sony Alpha A7S II is a sturdy device which perfectly fits in your hand and doesn’t look bulky at all. It’s an image stabilized full-frame mirrorless camera which is considered as one of the best cameras for travel photography. 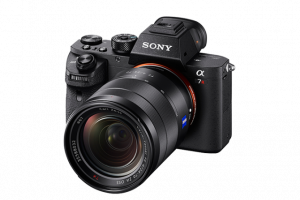 Sony Alpha A7S II is lightweight, compact and clicks exceptional images. The 23.4-megapixel sensor gives you high-resolution images and performs exceptional in low light settings. It comes with in-built Wi-Fi connectivity with NFC. Sony Alpha A6500 comes with 24.2 MP sensor and 4D focus system just like Sony Alpha A6300. It has 3.0inch various angle touchscreen and it captures 4K video efficiently. 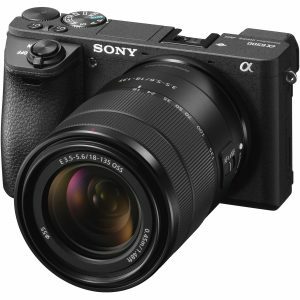 It has no headphone jack just like Sony Alpha A6300. You get 4K at 25p and 30p recording in a 35mm format which enables to record 6K videos to avoid cropping. Full HD recording is also available and you can capture slow-motion videos at best.